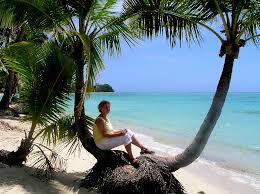 Cheap Car Hire on Fiji - Compare and book rental for an SUV, MPV, convertible or 7 seat minivan. 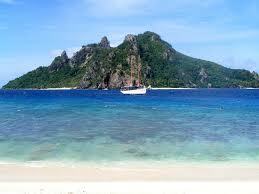 Off to the Pacific Island of Fiji and car hire needed? 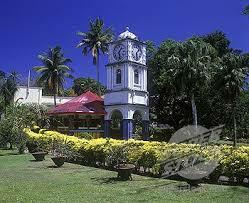 You can get car rental at Nadi Airport or downtown at Suva. We have some excellent discounted rates from Europcar that save you money on their own rates, so cheaper to book today, rather than wait until you land. The type of vehicles that are available include city cars, to Pickups, Sports Utility Vehicles (small and large) and eight seater minivans. Book cheap car hire in Fiji. Fijian car rental made easy. Compare car hire in Savu. Fiji Dollars and cents are needed in your pocket to buy that souvenir, drink or meal in this part of Oceania, to the east of Australia and the north of New Zealand. Fiji, or the Fiji Islands, consist of over three hundred and twenty islands. Only about one third of these are actually occupied. Fijians have three official languages including English and Fijian. Apart from rugby players, sugar and clothing along with fish and other agricultural products help bring in some overseas currency. They export some gold as well. Fiji became independent from the UK in 1970 and became a republic in 1987. Suva is the capital. The main sport are, hmm, but think rugby might be played here. A mix of Christians and Hindu and Muslims make up the majority of about 900,000 Fijians that live on this island. Drive on the left, as vehicles are right hand drive. All cars have insurance included, although their will be an excess amount held against your credit card.